1 What is a Medial Branch Block? A Medial Branch Block is an injection that reduces the inflammation and irritation in the facet joints of the spine that are causing your pain. An exciting aspect of this pain relief modality is that if successful, a more long-term treatment option, radiofrequency ablation of the medial branch, can be employed. An increasingly popular pain management treatment for facet joint-related pain is a Medial Branch Block. A Medial Branch Block temporarily reduces or stops the pain signals stemming from the medial branch nerves inflammation and irritation from reaching the brain. The medial branch nerves are the smaller nerves that innervate the facets of the spine, and facet joints are the small-paired joints that connect to each vertebrae of the spine. Irritated and inflamed facet joints are fairly common causes of mid, low back and neck pain. Must Watch Video – Medial Branch Block Performed Live! A medical (nerve) block is essentially an injection that disrupts pain impulses from reaching the brain. Nerve blocks help diagnose the source of the pain, create temporary pain relief for patients and are often used to determine the outcome of a surgery meant to permanently block the activity of certain nerves. When oral medications and physical therapy fail to work, it is often recommended that the patient receive an Medial Branch Block for facet joint related pain. Medial branch nerves near the facet joints are responsible for small muscles in the neck, mid and low back. These nerves are often accountable for chronic neck and low back pain, and referred head pain. Low back pain. The facet joints located around the Lumbosacral medial branch nerves (the groove of the low back) are often associated with low back pain. In fact, inflamed or irritated facet joints account for spinal pain in roughly 15% to 45% of patients suffering from low back pain (Boswell et al, 2007). In a clinical study, 57 patients who suffered from low back pain were given a Medial Branch Block, and after eight weeks, 53% of patients claimed relief. Interestingly, the number of patients who reported improvement increased to 68% when reevaluated six months after the initial injection (Anand et al, 2007). Neck pain. Cervical facet joints are located at the back or side of head. When the cervical facet joints are irritated, patients will often feel shoulder, head and neck pain. According to a recent study, roughly 36% to 67% of patients suffering from neck pain can attribute that pain to inflamed or irritated facet joints (Boswell et al, 2007). Medial Branch Blocks are minimally invasive, non-surgical treatments that take an average of 15 to 30 minutes to perform and produce results that often take effect immediately. A patient undergoing a Medial Branch Block will first have the injection site(s) numbed with a local anesthetic. Once the injection site is sufficiently numb, the patient will receive an injection guided by a fluoroscopy (live x-ray) that is comprised of a long-lasting steroid and a local anesthetic. The anesthetic numbs the medial nerve branch, blocking painful impulses and the steroid works to reduce irritation and inflammation. After the injection is completed, the patient should rest for about 20-30 minutes before going about their day (Baker). If the patient’s perceived pain has significantly decreased after the injection, then it is considered a success and may be repeated at least two months after the initial injection. Used therapeutically, a patient should not receive more than six injections per year (Manchikanti et all). If the treatment is being used as a diagnostic, the patient should not receive more than four Medial Branch Blocks per year (Manchikanti et all). A patient who undergoes a successful Medial Branch Block prognostic treatment may also be a likely candidate for radiofrequency ablation, a longer lasting pain management treatment (Baker). Radiofrequency ablation is a procedure that uses heat produced by the electric currents (RF currents) to create a lesion on a nerve, essentially deadening the nerve and preventing blocks pain signals from reaching the brain. The facet is a joint that connects one vertebrae (bone of the spine) to another. The needle is placed over the nerve that provides sensation to the facet joint. This nerve is the medial branch. The injection includes both a long-lasting steroid and a local anesthetic like lidocaine. The steroid reduces inflammation and irritation and the anesthetic works to numb the pain. The entire procedure usually takes less than fifteen minutes. The greatest benefit achieved with the use of Medial Branch Blocks is the rapid relief of symptoms. With pain relief, patients are able to resume their normal daily activities, which is often not achieved with oral medications and physical therapy. Used with increasing frequency, Medial Branch Blocks are low risk and minimally invasive. Not only can Medial Branch Blocks be used for pain management, but it is an effective prognostic and diagnostic treatment (Manchikanti et al). Typically, it is difficult to effectively diagnose lumbar and cervical facet joint pain using traditional therapies, however, Medial Branch Blocks prove key in helping to evaluate whether or not the facet joints are causing the pain. In fact, the American Society of Interventional Pain Physicians created a guideline for chronic spinal pain management and specifically pointed out that Medial Branch Blocks are extremely beneficial when used to diagnose lumbar and cervical facet joint pain (Boswell et al, 2007). When used as a pain management procedure, a Medial Branch Block is highly effective in that it provides pain relief very rapidly. This pain relief will often last from one month up to a year (Boswell et al, 2007). Another benefit of the Medial Branch Block is that if the patient has a high success with it, then they may be a likely candidate for benefiting from radiofrequency ablation. Another benefit to the use of the Medial Branch Block is its use as a diagnostic test to see if pain is coming from the joint itself. If pain disappears with the injection, it is clear that the pain originates from the joint. Therapeutic lumbar Medial Branch Blocks with local anesthetic and steroids may be effective in the treatment of chronic Low Back Pain of facet joint origin (Manchikanti 2007). The American Society of Interventional Pain Physicians developed a large evidence-based practice guideline for the management of chronic spinal pain. This guideline explains that the facet joint nerve blocks or Medial Branch Blocks are strong in their accuracy of diagnosing lumbar and cervical facet joint pain (Boswell 2007). With minimal risks, Medial Branch Blocks are considered an appropriate and safe non-surgical treatment for many patients who suffer from back and neck pain. The associated risks with this procedure involve misplacement of the needle. In order to prevent this problem, pain physicians use fluoroscopy to guide their needle. Potential complications associated with the procedure include bleeding, infection, and nerve damage. Medial Branch Blocks are considered a safe procedure, but as with all medical procedures there are associated risks, possible side effects and complications that vary with each patient. Pain at injection site. The patient might experience tenderness at the injection area for a short period of time as the local anesthetic wears off. Minor infection. In less than 1% to 2% of patients, minor infections occur. Increased pain. The patient might experience a worsening of pain symptoms. Excessive bleeding, or infection. The patient might suffer excessive bleeding, infection and nerve damage as a result of undergoing an Medial Branch Block treatment while on blood thinning medications, pregnant, allergic to any of the anesthetics used or they have an active infection. Nerve or spinal cord damage. 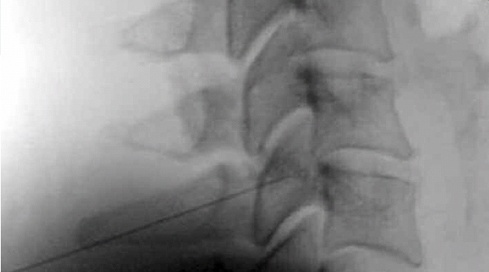 Very rarely, a patient suffers from nerve or spinal cord damage or paralysis resulting from direct trauma from the needle, from an infection, bleeding resulting in compression or injection into an artery causing blockage (Baker). The other risks of the Medial Branch Blocks may be directly related to the medication injected. The risks of developing medication side effects are typically much less than in a person taking oral corticosteroids. Some of the potential side effects of corticosteroids include elevated blood sugars, weight gain, arthritis, stomach ulcers, and transient decrease in the immune system. Before receiving a facet injection, patients should be assessed by their physician to minimize risks associated with the procedure. Medial Branch Blocks have increased dramatically in the Medicare population from 1994 to 2001 and are becoming even more popular today (Friedly 2007). They are being used more frequently because they have provided successful results in the treatment of back pain. The Medial Branch Block is a highly effective treatment for pain management in patients who tend to have chronic neck, back and lower back pain as the effects take place very quickly. Medial Branch Blocks are also key in prognostic and diagnostic treatments that will determine if radiofrequency ablation is a worthwhile treatment. Medial Branch Blocks create minimal risk for the patient and there is very little recovery time, making the procedure a popular pain management solution. A recent study looked at patients with back pain who received Medial Branch Blocks. At eight weeks of treatment, 53% of people reported improvement of their pain. By six months of treatment, over 68% reported the same (Anand 2007). The duration of pain relief varies from each individual but if the first Medial Branch Blocks provide relief, then the procedure can be repeated or facet denervation can be done.